True fitness is not a short-lived experiment; it's a lifelong commitment to your personal health and well-being. That's what the Clutch Life 24/7 Fitness Trainer is all about. In addition to full nutrition and supplement information, it includes a sustainable training plan you can follow in real-time from the comfort of your home, at the gym, or on the road! Ashley Conrad—celebrity trainer and the founder and CEO of Clutch Bodyshop—has created a fitness plan you can follow all day, every day. She's not asking you to prepare your meals on Sunday and prepack them for the rest of your life. She's not asking you to be in the gym for two hours every day. Instead, she's developed a simple-yet-effective protocol you can adopt immediately and use forever. Throughout Clutch Life, Ashley provides expert nutrition and supplement advice you can easily implement into your daily life. But she also goes a step further. 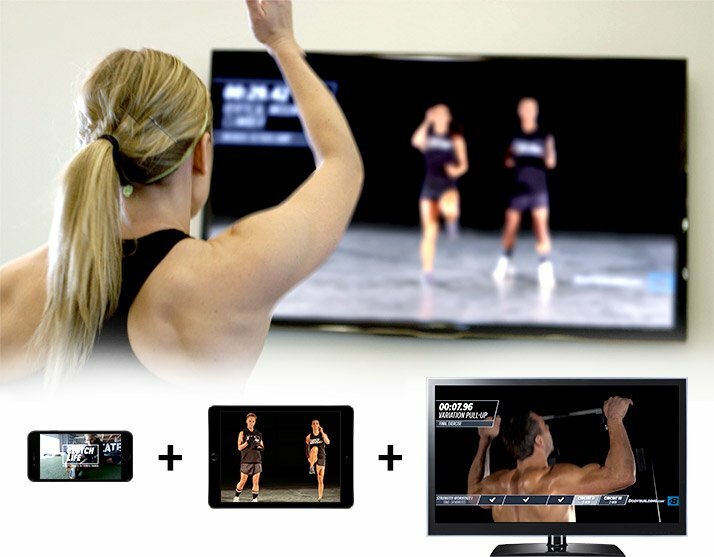 In Clutch Life, you'll be able to work out with Ashley and her Clutch Bodyshop athletes—in real-time! Every day includes a video you can watch anywhere, anytime. You'll have complete coaching and motivation right in your pocket! Best of all, many of these workouts take less than an hour, so you'll be able to do your workouts and get on with the rest of your life. The Clutch Life nutrition plan is totally flexible. All you have to do is follow my core guidelines and fill in the blanks with whatever you want to eat! Get daily emails from Ashley Conrad. We’ll also send you everything you need to lose fat, build muscle, and get healthy for life! Help keep yourself accountable. Download and print the free Clutch Life Calendar! Go Now! The Clutch Life training plan is built on a series of circuits, requires minimal equipment, and is totally scalable to your fitness level. It will help you lose fat, build muscle, and even includes a specific nutrition plan for each goal! Get ready to train with Ashley Conrad and get Clutch for life.